Is this your experience of your current kit supplier? You won't hear it from Stag Sports - guaranteed! With more and more suppliers sourcing or manufacturing their kits in the Far East, China or even Australia, they are finding it more difficult to control the quality of their kits, the service they offer and the delivery times they're quoting - delivery times that are often made by their local representatives. At Stag Sports no order is too small - one offs, new squad members, top-up orders, we're always here, based in West Yorkshire and always happy to help. 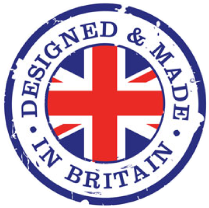 We use UK knitted fabrics and manufacture all our kits at our factory in West Yorkshire. This means that we're in control of the manufacturing process and that the promises that we make to you, our customers, we can keep. Order your kit from Stag and we guarantee it will be delivered on time and to your complete satisfaction!